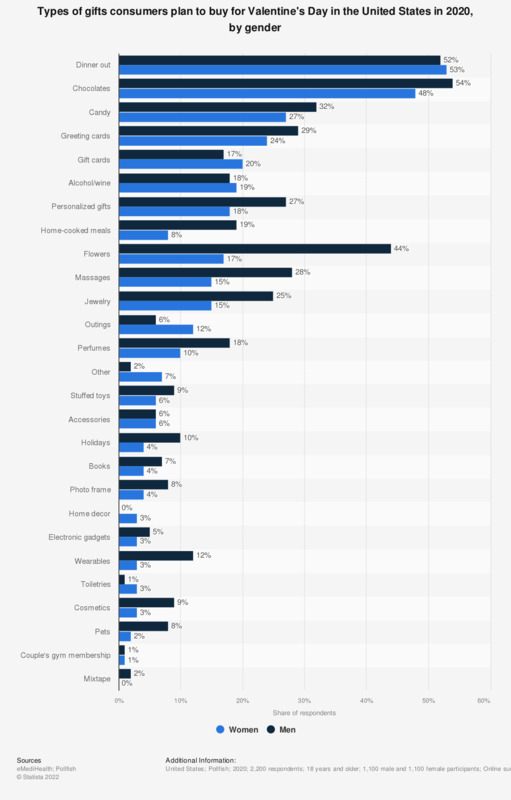 This statistic shows the results of a survey among Americans in 2018 regarding the kind of gift they are planning to give on Valentine's Day, sorted by gender. 61 percent of male respondents stated they are planning to give chocolates, sweets or candy on Valentine's Day. The original question was "What are you going to give for Valentine's Day?"